...means "tasty" in Hebrew. Look at that and tell me they're not joking. 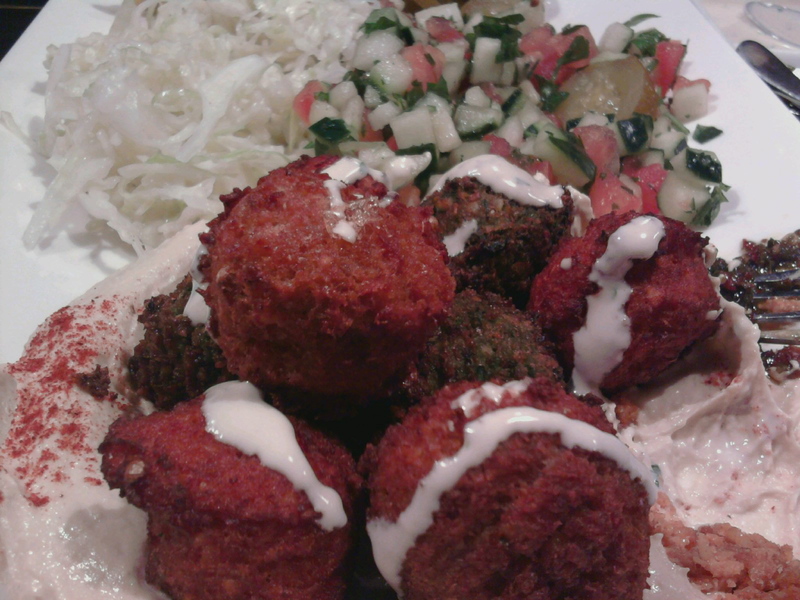 A miniature little shop at 222 Waverly Place (good luck finding it) has three flavors of 100% gluten-free falafel. Knock yourself out, folks. Knock. Yourself. Out. Oh, what's that? A banana-date-lime smoothie? I'm sorry. I didn't realize HEAVEN IS A PLACE ON EARTH. OK. BUT. I can't leave this post without ONE complaint, and tell me if you agree. I *love* it when a shop owner or purveyor or counter-person tries to be helpful about a food allergy. I do NOT LOVE IT when they are misinformed. Nothing makes my stomach grumble like a questionably informed maître d'. "Are you gluten-free?" the man asked, when I said "no pita bread, please!" "You can't have the tabbouleh then," he said. "Yes," I said. "I know." "You can't have soy milk in your smoothie either," he said. "What?" I said. "Yes I can." "No you can't!" said the man. It was the same brand of soy milk we serve at my restaurant, and yes, I can have it. I drink it every day. The point? It's worth the frustration. Be strong, my fellow gluten-frees. Demand what you must demand and then eat with gusto. As sucky as it was that you had to go through that I'm kinda glad other people have to deal with it. Makes me feel like less of a weirdo. Just taking one for the team :) One time someone told me something had "flour" in it, but no "wheat." "What do you think flour is made out of," I asked him. He looked at me like I asked him for the composition of gases in the atmosphere. I'm glad there's a popular foodie revolution—everyone needs to get right with their ingredients, not just us gluten frees! 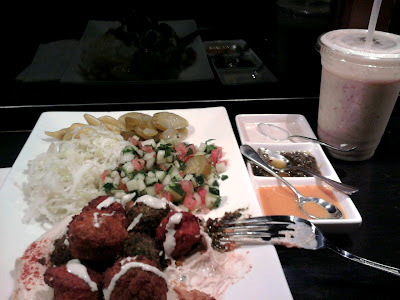 TAIM is my absolute hands-down favorite place to eat in NYC- the next time I am there you and I are eating it TOGETHER! Sometimes I fond people who think glucose and gluten are the same thing because they both start with glu. Also, I've totally had the "there's flour in it but no wheat in it" incident before. Apparently some people don't realize that "white" is a descriptor and not a type of grain. " "There's no wheat, it's just made with white flour." How can people be so damn stupid?